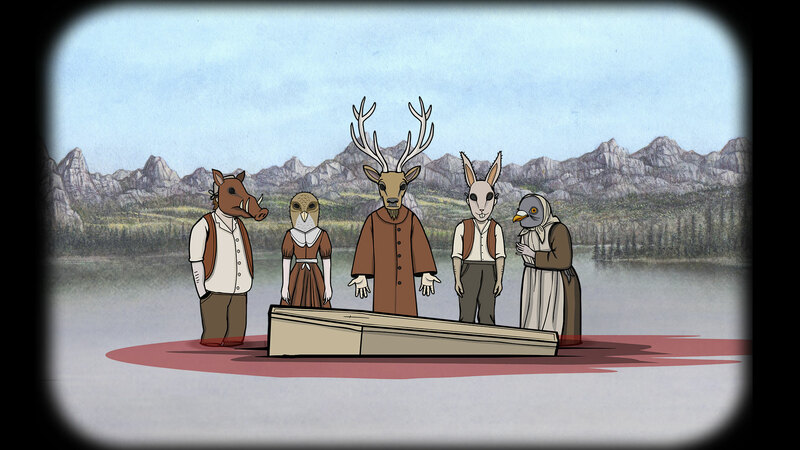 If you’ve been reading the blog for long enough you’re probably already familiar with how enamored with Rusty Lake we are. The series is 12 games deep and despite that manages to surprise with each entry and create a unique experience every time. What’s even more interesting is the series transition from free to play to premium titles. We talked to the series’ creators Robin and Maarten to see if they could share any tips they learned from developing so many games so quickly. Let’s start with an introduction, who are you and what is Rusty Lake? We are Robin & Maarten, the devs behind Rusty Lake, an indie studio based in Amsterdam. Rusty Lake is also the name of the universe where we create games in. Neither of us have a gaming background. I (Robin) studied Law and Maarten Landscape Architecture. I was creating gaming portals with small flash games and Maarten made flash games as a hobby but we ended up working together on small news based games that went viral really quickly. After creating more than 50 games with different gameplay mechanics, we felt the escape room/point & click adventures was the most suitable for creating a series of games. We were inspired by Twin Peaks, and wanted to create a similar surreal world where our games could take place and connect with each other. It was back in April 2015 when we launched Cube Escape: The Lake and Seasons, the first two entries in the Rusty Lake universe. Both games were connected in with a code you could you use in one of the games that gave a different ending. It made people feel like these games were part of something bigger. So you’ve been making games in the Rusty Lake universe for a while now (the wiki page lists 12 entries in the series) and the series was originally mobile-only and free to play. What has the transition from free to play to premium been like? After creating 6 free to play games with hardly any ads, we knew we had to change our business model. We couldn’t go on like this forever since we weren’t near the break even point. Fortunately we invested a lot in our community by making these free games. This resulted in a very engaged player base we could cross promote and keep them involved into new projects. So when we came up with the idea of Rusty Lake Hotel, a spinoff from the free series, we directly asked our community if they wanted to support us by paying for a premium game. Luckily the answer was a big yes and Rusty Lake Hotel became our own "kickstarting" project. Now we can create a mix of free and premium games to satisfy the whole Rusty Lake community. Do you have any advice for other developers who are looking to make a similar switch? If we pushed our first mobile games as premium we never would have had the success that we have now. In our case it was the right decision because we didn’t have a name as a developer, player base nor community built up. If you are switching from free to premium make sure to have the player/community built up, who will enjoy the type of game you are creating. I think itch.io is a great place for a starting dev (in our days it was Kongregate/Newgrounds), you can let people try out a free version of your game and then let them download the bigger/premium game.